يشكل Beaches Backpackers بموقعه الممتاز في المدينة نقطة انطلاق جيدة لاستكشاف أفضل ما فيها من معالم ومناطق نابضة بالحياة. يسهل الوصول إلى هذا الفندق ذو 2 نجوم من المطار، فهو يبعد عنه مسافة 25.Km فقط. يقع هذا الفندق الحديث على مسافة قريبة من المعالم السياحية الشهيرة. إن Beaches Backpackers حريص على توفير الراحة للنزلاء، فلا يوفر الموظفون جهداً في تقديم أفضل الخدمات وضمان حسن الاستقبال. يمكن الاستمتاع بمجموعة من الخدمات على أعلى المستويات في الفندق كمثل واي فاي في المناطق العامة, صف السيارات, مطعم, جولات, خدمة غسيل الملابس. 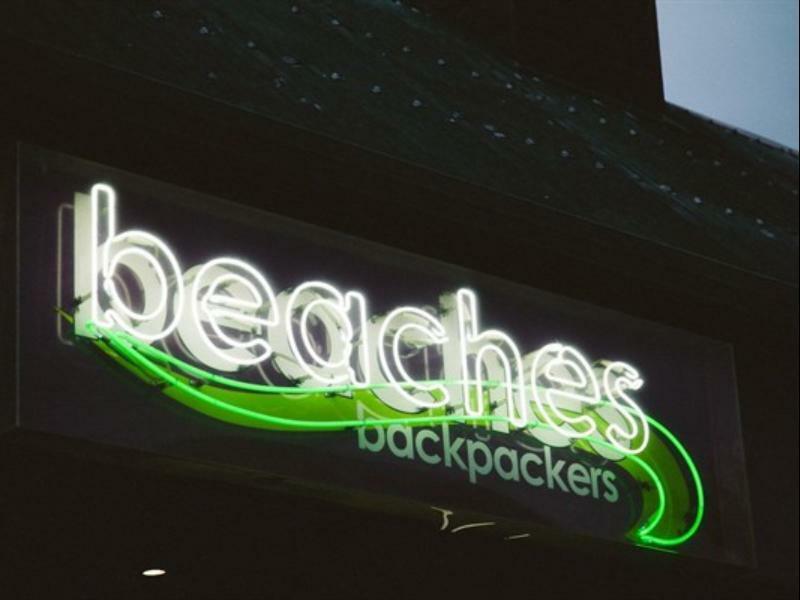 تنعكس أجواء Beaches Backpackers في غرف الضيوف.مكيف هواء, شرفة/ تراس, اتصال محلي بشبكة الإنترنت (تطبق الرسوم), اتصال لاسلكي بشبكة الإنترنت (تطبق الرسوم), دش هي بعض الميزات الموجود في العديد من الغرف. كما أن مجموعة الخدمات الواسعة الموجودة في الفندق لضمان راحتك تترك لك الكثير من الخيارات لقضاء وقتك أثناء فترة إقامتك. اكتشف مزيجاً ساحراً من الخدمة الاحترافية والخيارات الواسعة من وسائل الراحة والمتعة في Beaches Backpackers. Nice staff, good location. Room is o. k, good for one night. I'm not picky and used to stick to budget accomodation, but what you get in this hostel is definitely not what you pay for: No free wifi, wifi you can buy for 5$/24h doesn't work as well, no common room, no pool, mattresses are uncomfortable and old, staff is the most unfriendly I ever experienced in any hostel on the east coast. Location and the meal vouchers for the bar underneath are absolutely top, but that's it. The room with the shower room. Only for sleep is okay. The room and carpet in front of bedroom were dirty. The location is perfect and I do love the special meal in the night. Cheap accommodation, clean rooms and discounted food and drink at the bar. Luggage storage for $6 while you are awy on a Whitsundays tour. Brilliant location. Something on at the bar Every night but quite enough to be able to sleep. Cheap accommodation and supper, not for backpackers looking for quietness. Private rooms are good, close to free WiFi provided by the bar nearby. Ok stay. Room was clean and spacious enough. Staff was not around when I checked in but gave helpful instruction when I called them. Value for money. The location is good, on the main street. Mix gender room is no very convinent for me, but the price is reasonable for staying one night then take the shuttle. it is a few blocks from the city centre. walking at night feels comfortable. but the room is quite dirty with small ants cos it doesnt have housekeeping daily. We only stayed here for one night before we went on our whitsundays sailing trip. Good nightlife at this hostel and they give you meal tickets for cheaper meals when you stay here. Big spacious rooms which doesn't usually happen in hostels. It was perfect. But when you booked on website, you don't have the offer about the 3 nights booked 1 night free !! The room is biggest I ever stayed. But its noise until midnight,because there is a bar downstairs . The staff is very nice! great location but hey, very basic room. and yes, we cleaned a little before we were fully comfortable...hmm, don't ask. you get what you pay for. we had one of the private rooms. clean rooms (cleaned daily), friendly staff, safe and secure feel and finally very cost affective !